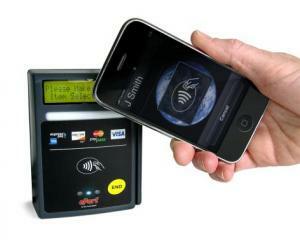 Cashless Technology Company Announces Rollout of Isis SmartTap on Vending Machines | NFC Times – Near Field Communication and all contactless technology. USA Technologies, a provider of contactless and other cashless technology for vending machines, says it is implementing SmartTap software of the Isis telco joint venture on more than 100,000 terminals nationwide. Isis and the vendor remain mum on any expansion plans by the joint venture, however. Vending technology company USA Technologies plans to integrate the SmartTap mobile-commerce software into all of the company’s nearly 100,000 NFC-enabled terminals on vending machines nationwide. Does this indicate Isis is laying groundwork for an expansion outside of its pilot cities of Salt Lake City, Utah, and Austin, Texas? Neither Isis nor the vendor would say. “This will be downloaded to our terminals within the next few months,” USA Technologies’ vice president of corporate communications and investor relations, Veronica Rosa, told NFC Times. Along with the rollout of SmartTap, USA Technologies and Isis announced the launch of a “Fifth Vend Free” program, which will allow users to receive a free product on their fifth visit to a vending machine equipped with a USA Technologies terminal. Article has about 760 words.